Black Mirror: Bandersnatch was released on Dec 28, 2018 on Netflix. Set in the same universe as Black Mirror, the movie stars Will Poulter, Fionn Whitehead, Asim Chaudhry, Alice Lowe, Craig Parkinson, Tallulah Rose Haddon, and Catriona Knox, and is directed by David Slade. 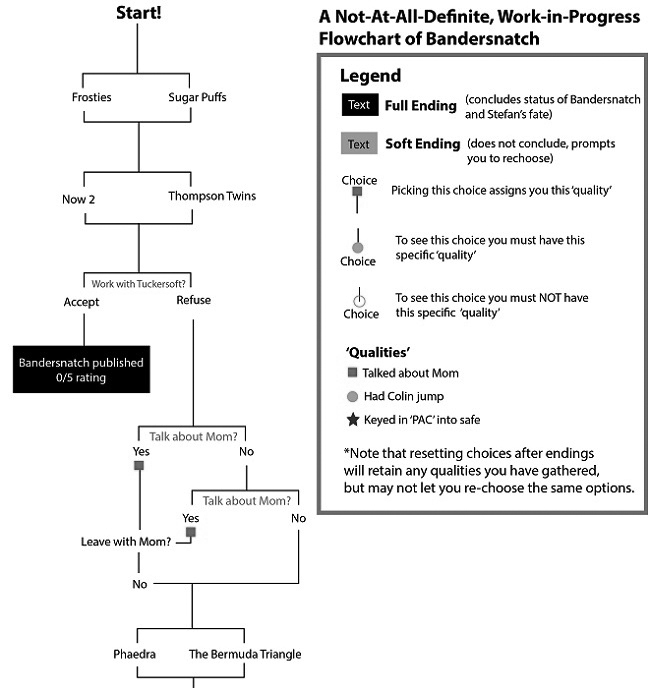 Based in 1984, the film follows Stefan Butler (Fionn Whitehead), as he is given a great opportunity to create a video game based on the book Bandersnatch, one of Stefan’s all-time favorites. He develops the game for Tuckersoft, the company developing the game, run by Mohan Thakur. He is also given the opportunity to work with Colin Rittman (Will Poulter), one of the lead game developers at the time. The story follows Stefan’s emotional/mental state, as there are many scenes that see him talking about it with his therapist. However, this film isn’t like any other. This movie is an interactive film, meaning viewers are given many choices throughout the film that affect the main plot. 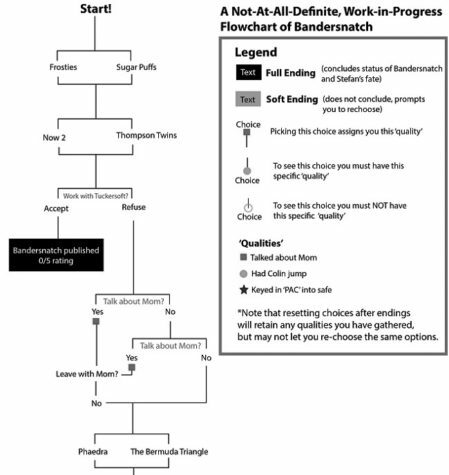 The choices affect the star rating received on the game (Bandersnatch), on a TV show discussing the latest video games. The only thing hindering viewers from truly choosing the options viewers feel is best, is that sometimes the show detects a choice that shouldn’t have been chosen, and it will take viewers back to choose the correct path. At the same time, it directs viewers to each individual ending. Speaking of endings, some are bizarre and leave people scratching their heads, such as an ending that causes you to enter a code, which many believe there are many. This led to many conspiracies about what it all means, while some need viewers to think back to figure out a list of numbers to call someone. Overall, Black Mirror: Bandersnatch is a wild ride of a movie, and I would personally love to see this kind of choice-making technology integrated into future Netflix films. I’m giving it a light 4.5 out of 5.